That pesky leprechaun did it again!! He visited all of the traps that the firsties made but not one single one was able to snag the little fella!! The kids were SO surprised when they came in to see the big mess that he left! It was so fun watching them run from room to room seeing if any of their friends were lucky enough to catch him. They were a bit sad about their wishes not being fulfilled but they were happy to see that Lucky the Leprechaun left them little gold treats and a box of Lucky Charms for a snack! We are pretty sure he escaped through a hole in Mrs. Rains' ceiling. Better patch it up for next year! He even left a mess for poor Mr. Don and Mr. Red! We made him some cute little hats out of styrofoam cups he said they were too big for his wee little self so he shrunk them with his magic! Better luck next year kiddos!! I hope you had a wonderful break with your family. I am looking forward to seeing everyone tomorrow! We had a wonderful week in first grade! We finished up our "showing not telling" writing project, which has to be one of my ALL time favorites!! 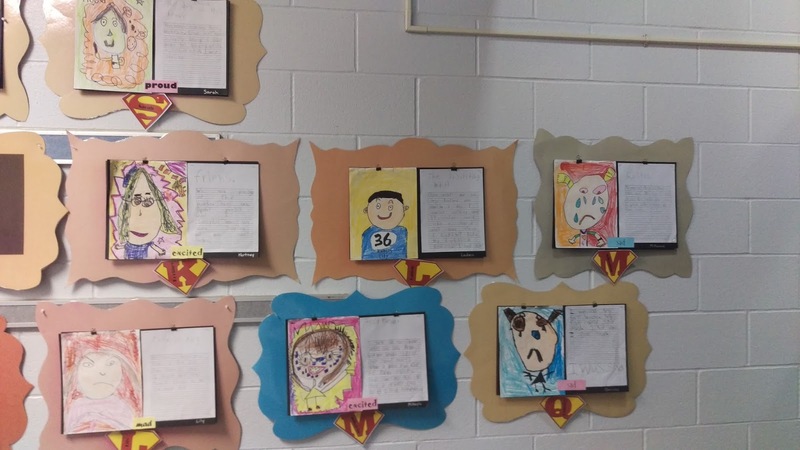 The kids used personal narrative to show an emotion that they were feeling. We explored many books that helped us create an anchor chart about how we act, what we look like, and how we sound when we have different feelings. They are absolutely adorable!! 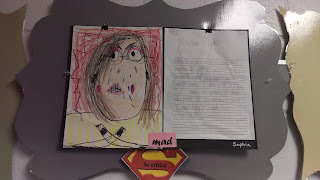 It is so cool to see how their writing is growing not only in length but also in voice! Last week the kids helped me celebrate my brother, Zach's homecoming! He has been deployed with the Army for the last 9 months. For the first 55 school days the students have said, "Get home safe Zach!" after the Pledge of Allegiance. 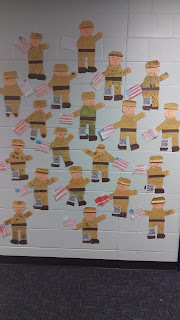 In celebration of Zach and all of our military the kids did a writing web of why soldiers are important to us. 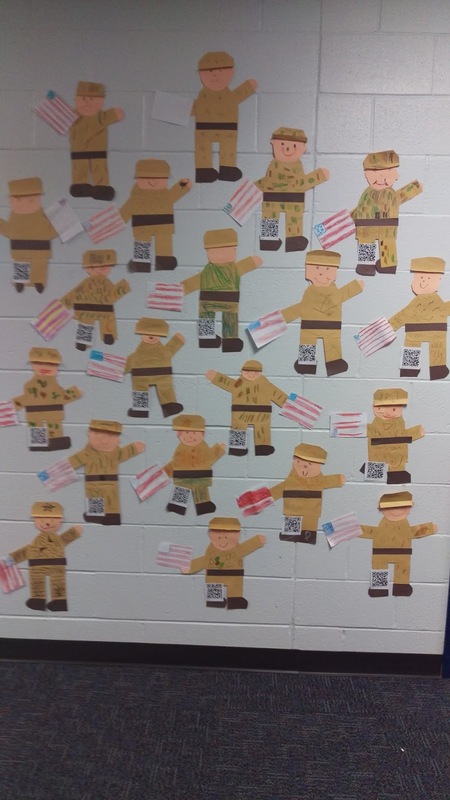 Then we turned their writing into audio QR codes to put on our soldier art! Aren't they precious!?! In reading the kids are really focusing on their fluency. Make sure there isn't any "robot reading" happening at home! Practicing your sight word lists will greatly help with fluency. This week we started our journey back to the time of Native Americans! So far we have visited the Plains and the American Southwest. We have learned all kinds of neat things! We know why the Plains people needed to live in tepees. We also learned that weaving is a difficult and tedious task. In math we are learning a cool new strategy for addition. It is called "make a ten" in class we like to call is "Goofy's shoe." See if your kiddo can show you the new strategy to solve 8+6=__! We capped off this week with a wonderful celebration of the love between grandparents and their grandchildren! It was so special watching the firsties become the teachers to their loved ones! We were so lucky to have such an amazing outpouring of love on us! P.S. This week the kids earned their 20th compliment!! They have chosen to have a stuffed animal party! On Monday, each child may bring in ONE of their favorite stuffed toys to spend the day with! So far in November we have celebrated two birthdays!! Cameron and Kayleigh both turned 7 this month! We have been learning all about them during their Superhero of the Week presentations! In reading we are working on using graphic organizers while reading as well speeding up our fluent reading. Keep practicing those sight words to help your firstie build up their fluency! During writing time the kids and I are exploring how to "show not tell" in narrative pieces. Today we made an anchor chart to describe actions that show how we are feeling rather than just stating "I was happy." I am jumping up and down in anticipation for the stories they create! This week we will wrap up Unit 3 in math and take our end of unit assessment. Be sure to have your kiddo explain their math homework to you as they do it. Reading story problems and deciphering the information has been tricky! It is hard to figure out whether to add or subtract and where the missing number goes! 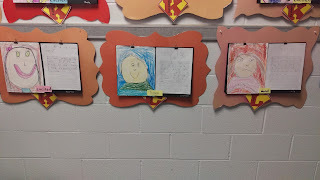 Last week we focused on Eric Carle as an author and illustrator. We are continuing to explore his books and look for the author's purpose. 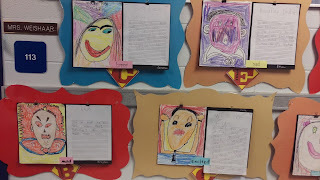 The kids started this unit by taking notes on Eric Carle and worked in teams to write his biography. We read The Very Clumsy Click Beetle that taught us to keep trying and never give up! The kids made their own click beetles to remind them of that very important lesson. Next week we will celebrate Grandparents' Day in our classroom on November 20th from 11:35-12:25. We will be doing several activities in our classroom and then enjoying some recess. That night is first grade's movie night from 6-9p! We will be watching Inside Out and have really fun activities planned! I am so sorry that I have been MIA from the blog! I promise I am going to get better! My goal is to blog every Monday, there, I said it. It is out there and you can hold me accountable. October was a great month filled with a fire safety chat from our local firefighters, learning about the pumpkin life cycle, and a great Fall party! Thank you to all of the moms, dads, and grandmas that donated items to our party or came to help out, it was a huge hit! It was so great seeing you last week! I loved chatting about your awesome firsties! They came back today like no time had passed at all. They are showing off how much they have grown and I swear that they all gained an inch or two! The week before conferences was busy for sure. So busy that our blog was put on the back burner. However, I didn't want you to miss out on some of the fun we were having! We wrapped up our butterfly exploration by using play-doh to create their life cycle. Mrs. Hunt came in to do some beautiful Fall art. It turned into a cooperative learning lesson as well as the kids had to decide what paint color to use and how to share one "brush" at their table! We had our first Superhero of the Week! 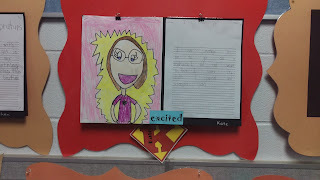 Miss Kaylee did a great job presenting herself! On Thursday we went to second grade to help out with their economics unit. The firsties had earned money to spend at the different shops. They were MORE THAN HAPPY to help out!! This week we will focus on the short /e/ sound and initial blends with /l/. Our comprehension strategy is compare and contrast. 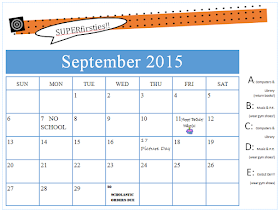 We have also implemented a new schedule for reading groups! The kids did remarkably well popping in and out of new groups today! In math we will be learning to solve for unknown numbers in equations and story problems. First grade mathematicians are ready for algebra! Pumpkins and fire safety are our science themes for this week. 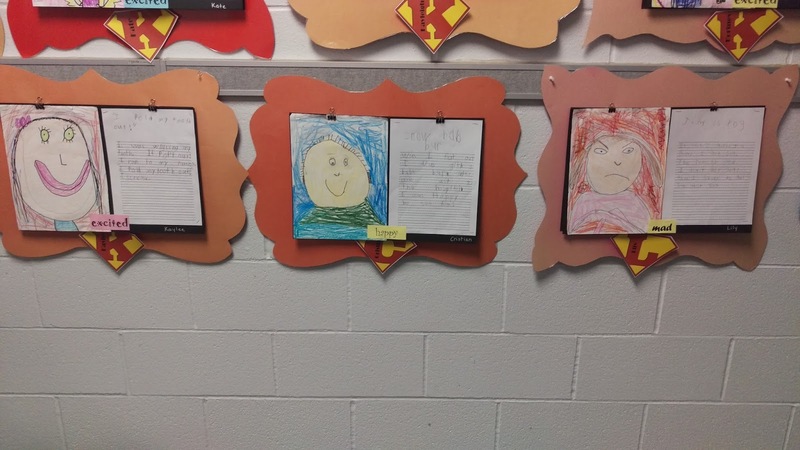 We will also spend a lot of time writing an informational text about pumpkins. My apologies but homework will not come home until tomorrow. I accidentally left that bag at home this morning! My name is Mrs. Weishaar (pronounced "wiser"). I have taught kindergarten since 2002. 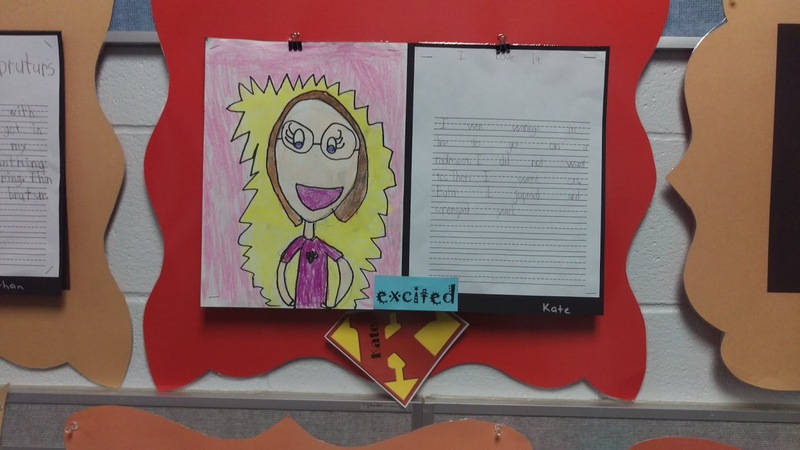 This is my second year as a FIRST grade teacher! I am excited to learn all new things with you!